All blogs are subjective. They have become almost confessionaland it is difficult to separate the truth from the lies. Blogs are by their very nature personal admissions and emotional reactions and bloggers don’t always get the facts straight, oftentimes going off on tantrums and discussing topics that have little or no relevance to the subject at hand. Blogs have only recently been introduced as a form of journalistic writing but they have rapidly found their way into financial topics. Forex blogs have joined hundreds of other blogs in discussing investment trading and they can be beneficial in many ways. As we all know, one way to learn what’s happening in Forex markets and to get a more objective view of world events is to read the major news services and their in depth market analysis. 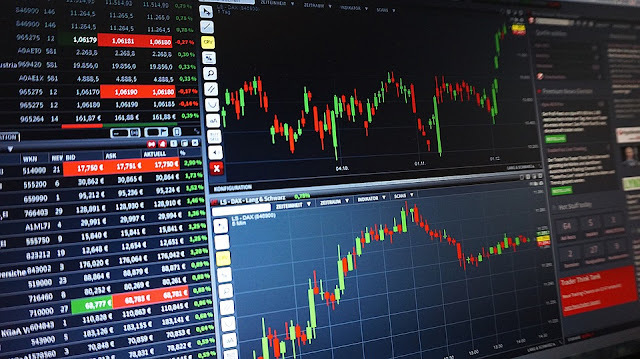 Sites such as Bloomberg, CNBC and even Yahoo Finance will provide a trader with the information, graphs and analysis he would need to help him with his Forex trades. Reading news from different parts of the world will also give him a clear picture of what is happening in vital areas such as Japan, China and Europe and will add to his overall financial insight. Reading blogs, however, provides the trader with the opportunity to see how other people are reacting to world events and how they plan to respond to them. Bloggers tend to be honest in their writing and often reveal what they are feeling and their future plans. A trader can get a sense for public sentiment if he reads enough blogs on a particular subject and this, of course, can translate into correctly interpreting the market’s trading trend. On the other hand, there are now Forex blog reviews that are often published on the same site as the blog and these can alter the reader’s sentiment completely by reinterpreting the thrust of the blog in order to make a contrary point. Just as a review of any topic must be viewed as biased, so Forex blog reviews must be taken with as the blogger’s viewpoint and not more than that. Still the benefits of Forex blogs are obvious. Blog skimming can show traders what is happening in other parts of the world. Blogs build a picture for fundamental analysts who depend on economic, political and social data to provide them with the information they need before deciding which currency pair to trade and at what price. Local interest rates, GDP, government rulings and other factors determine the movement of currencies throughout the world and blogs often reveal this information even before it is reported to the press. Used in conjunction with reliable news reports and professional interpretation, blogs can be very useful to a Forex trader. There are several professional Forex blogs run by experienced and successful bloggers that have been around for years and continue to provide good information and responsible facts. In addition, most online brokers and broker review sites offer blogs written by their experienced financial staff to anyone interested in accessing them.Forex blog reviews have now gained in popularity and are used to compare one blog site with another.